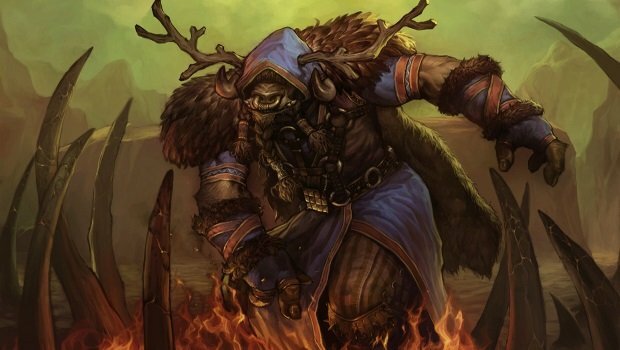 Welcome to Shifting Perspectives, Blizzard Watch’s regular column for druids of all vocations. This week, Chase Hasbrouck (@alarondruid) is laughing maniacally. WoW Raiding Community: Are we at Hellfire Citadel yet? WRC: The PTR’s up, now? Blizzard: No! Now stop asking or I’ll ban flying for the next expansion too! Looking for something to do? How about raiding for gold? By soloing Cataclysm raids, it’s fully possible for a reasonably-geared druid on US realms to fully fund their WoW Token purchases monthly. If that interests you, or you just want to find out how to repeatedly kill all those old bosses that gave your raid so much trouble back in the day, read on. 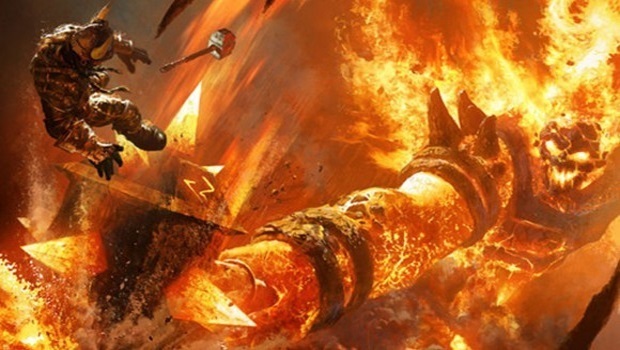 Each legacy raid effectively has three difficulty levels: 10-man normal is “easy,” 10-man heroic/25-man normal is “medium”, and 25-man heroic is “hard.” Of course, this is relative to the difficulty of the instance: A 25-man heroic raid from Cataclysm is much easier than a 10-man normal raid from Mists of Pandaria, for example. 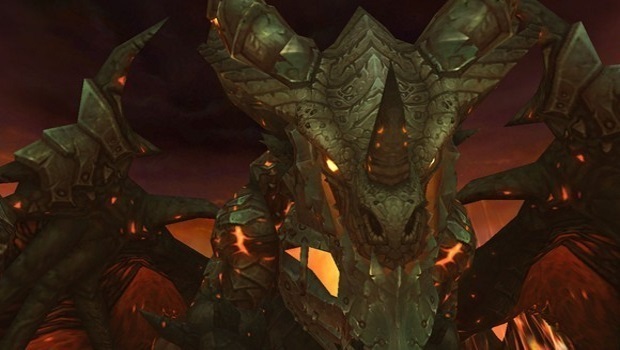 While the best gold for your time is in 25-man heroic Cataclysm raids, feel free to lower the difficulty if you’re just learning the bosses or trying to get achievements. On 25-man heroic, each boss kill will reward you with approximately 250 gold; half directly, and half via vendor-able epics. The most efficient spec for most content is Feral; the insane burst of Incarnation + Berserk means you can clear out bosses quickly before taking too much damage. Guardian is also very effective, use Heart of the Wild for a similar DPS burst. Balance and Restoration can work, but your mileage may vary: Resto’s extremely slow, and Balance’s damage is hurt a lot more than Feral’s by being beat on. This raid, tucked into the corner of Blackrock Mountain, is the easiest level 85 raid to complete and an excellent starting point. You’ll need to kill both Magmaw and the Omnotron Defense System to advance past the entryway; both are easy. After this, deal with the elevator boss 2.0, then work your way around the circle. On Chimaeron, talk to Finkle before you start for a helpful shield. Atramedes is mostly annoying for his trash that must be cleared — note that you can ring the bell at the end of his chamber to skip the cinematic. Maloriak falls over pretty fast, though his damage can ramp up quite a bit at the end so save cooldowns for sub-40%. Finally, come back out to the circle and click the orb to summon Nefarian and Onyxia. Kite Onyxia and the adds until Nefarian lands, then pop cooldowns and nuke him down — his Electrocute is no longer a threat. This raid in the Twilight Highlands is a small step up from Blackwing Descent, but not significantly so. When you first zone in, you’ll see a room with loads of trash mobs; if you’re a tailor, this is an excellent place to farm for Embersilk Cloth. Following the trash, you’ll face Halfus. He hits pretty hard and has a good bit of HP, so you’ll want to free and kill at least one of the dragonkin with him, preferably Slate. After another room full of trash, you’ll face Valiona and Theralion. Valiona is easy, but she has one incredibly damaging ability, Blackout. When you get the warning for it, pop Survival Instincts as you’re about to get hit for 250k HP. Following V&T, you get another room of trash and then the Ascendant Council, which is easy, and Cho’gall, who is easier. On 25-man heroic, you’ll get to drop down and face Sinestra. Another easy fight, but watch your text box for the alert that the shield on the eggs has dropped — you’ll need to kill both of them quickly to get to Phase 3. Dash helps. While this is the last raid in Tier 11, I don’t really recommend it as a weekly clear. There’s only two bosses, so it’s not really worth the time, and Conclave is pretty hard. If you want to try, remember that all three bosses of Conclave must be killed within 60 seconds of each other, so start with Anshal, get him low enough that DoTs will kill him, jump to Nezir and burst him down, then jump to Rohash and finish him. If you move too slow, Anshal will resurrect and kill you, or the pulse AoE from Rohash will kill you. Once you get past Conclave, Al’Akir is easy. The Firelands raid is located in Mount Hyjal. When you zone in, head to Beth’tilac first, killing trash as you go. Now, she is an absolute pain to solo. Her Cinderweb Spinner adds can chain-stun, which means going to the top of the web (kill one to start the fight, and they’ll drop a web you can ride). Unfortunately, Beth’tilac will drop down at 25% HP to start Phase 2 and pull you with her, where you’ll be chain-stunned while she heals up. Did I mention that she can’t be reduced below 1 HP during Phase 1? As such, what you’ll have to do is pull her to the edge of the web and DPS her down carefully to sub-25%. When she starts moving back to the center, pop cooldowns and burst, running every DoT you can. Ideally, you reduce her to 1 HP, she drops down, you get stunned, the DoTs kill her before she starts healing, you win. Occasionally, though, she lands right on top of a Spiderling and heals before the DoTs can kill her. If this happens, you’ll have to try again. Make sure you untalent Ysera’s Gift before the fight, if not, you can get perma-stunned by the adds and yet passively outheal the incoming damage, forcing you to force-close the game to escape. Whew. Once Beth’tilac drops, head back towards Alysrazor, killing trash as you go; eventually, you’ll wake up Shannox. Shannox requires a good bit of gear as DPS; Rageface also has a perma-stun, so you have to burst Shannox down before he starts. If you can’t do that, you’ll have to do it as Guardian, or use the Alysrazor trick (see below). After clearing Alysrazor’s trash and starting the encounter, she’ll drop a bunch of feathers on the ground and take off. Grab 3 feathers to fly and follow her, DPS’ing as you go. Catching the rings she throws out will refresh your flight and give you a stacking DPS buff, which will lead to you downing her rather quickly. Now, if you haven’t been able to kill Shannox, don’t kill her immediately; just grab rings, wait for him to path by, then fly over and drop in. With the DPS buff, he’s easily killable before his enrage. After Alysrazor, run up and kill Rhyolith (easy), then come back down and kill Baleroc. Baleroc is a bit of a DPS check, so if you’re struggling here, the Alysrazor trick can help as well. Proceed over the bridge, kill Staghelm’s trash (which also has a perma-stun, so keep moving to avoid the leaps), then kill Staghelm and Ragnaros shortly thereafter. Stay out of fire and these last two encounters are easy. 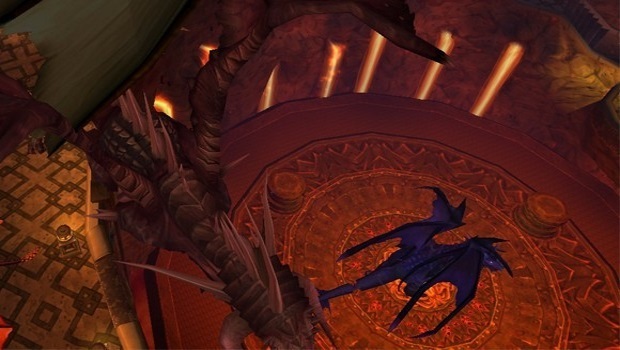 The Dragon Soul instance is located in the Caverns of Time in Tanaris. It’s almost two different instances, in terms of difficulty. Morchok, Yor’sahj, and Zon’ozz are all extremely easy; just kill their trash (Morchok’s is skippable) and then them. Hagara requires a bit of DPS, but more for time’s sake — if you can’t kill her quickly, she’ll start her lightning phase where she’s unkillable for 5 minutes. Just wait and finish her afterwards, the damage is trivial. The last four bosses are much trickier. Ultraxion will require solid DPS, as he has a raid-wipe ability that he triggers fairly early on. Warmaster Blackhorn requires some awareness in order to kill the Sappers, but is otherwise easy. Then comes Spine of Deathwing, everybody’s favorite. I can’t explain the whole fight here; suffice it to say that you kill a corruption, get yourself rooted, and then Swipe/Thrash the bloods. Once 10 pools are out, kill another corruption, kite the amalgamation over the bloods to superheat it, and kill it next to the armor plate. Repeat twice more and you’ve won. Oh, and don’t forget him rolling every so often; you can move in a constant racetrack pattern to prevent the rolls, or just stay in the corruption area to be held down. Once you get through the annoyance fest that is Spine, Madness is easy. Bottom Line: 2000g, 30 minute clear. That’s it for soloing Cataclysm raids! If you’ve done the whole thing, you’ve netted over 6000g in under 2 hours. Repeat weekly, add in a few follower missions, and enjoy your gametime! In 6.2, I’ll revisit soloing — with the gear upgrades, I expect much of Pandaria’s content to be soloable, at least on 10-man.